Partnerships have been the foundation for conservation of Hines Marsh, on Washington's Long Beach Peninsula. Since the mid-1980s, one of TTSS's priorities has been to ensure the long term protection of two dune restorations that are vital to the restoration and healthy function of Hines Marsh. Our strong partner in Hines Marsh conservation has been, and continues to be Columbia Land Trust (CLT), a leader in the business of long-term land conservation. It is with confidence that TTSS transferred ownership of our long held dune restoration properties to CLT in 2009. Sometimes the most important things in life come in the smallest packages. Columbia Land Trust has been working to preserve Hines Marsh in the interior of the northern Long Beach Peninsula in southwest Washington for almost 20 years. This year, we added two small but critical parcels to the Hines Marsh Conservation Area. Hines Marsh consists of a series of wetlands and lakes among the dunes between the Pacific Ocean and Willapa Bay. The mosaic of ocean front dunes, old Sitka spruce forest, wetlands, and lakes provides unique bird and wildlife habitat, hosting numerous birds, otter, mink, deer, elk, and bear. The marsh is on a major migratory path for waterfowl, shorebirds, and raptors. Wintering and breeding ducks, grebes, great blue heron, osprey and other raptors, and a wide variety of song bird are found throughout the marsh. Due to conservation and restoration efforts, trumpeter swans have recently returned to their historic overwintering lakes within the marsh. This conservation story is all about partners - The Trumpeter Swan Society, Washington State Parks, US Fish & Wildlife Service, very passionate local community members, and others - without whom the Hines Marsh Conservation Area would not be the beautiful, protected place it is today. 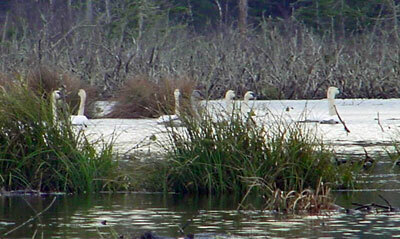 The Trumpeter Swan Society started conservation efforts there in the mid-1980s. Columbia Land Trust joined the effort in the mid-1990s. The partners have so far conserved over 150 acres. 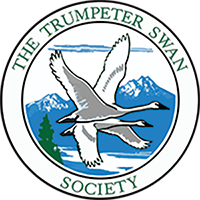 The latest acquisition was a transfer of two parcels from The Trumpeter Swan Society to Columbia Land Trust. The properties contain dams in a ditch that was used to drain the marsh in the 1960s for development. With our ownership and ongoing community support, we can ensure that they are protected and stewarded properly and that the interior marshes are not damaged again. We are not done. The northern tip of the Long Beach Peninsula, just south of Leadbetter State Park and all around the Conservation Area, is platted to be completely developed. Columbia Land Trust and our partners continue to work on conserving corridors of the most sensitive and special places before it is too late. This will enable the wildlife to thrive and allow people to enjoy visiting these places for generations to come.